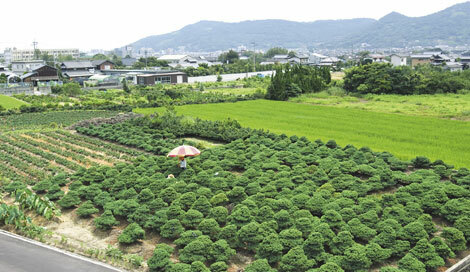 Tamamo Park transforms into a Bonsai Castle. Bonsai exhibition in a traditional Japanese setting. We invite you to come and see the traditional beauty of Japan. I am proud to address you as the Chairman for Takamatsu Bonsai Convention 2014. Three years have passed since we hosted ASPAC Takamatsu 2011. Based on the spirit of ASPAC and what we were able to achieve we look forward to once again welcoming the World to Takamatsu this Autumn for our Bonsai Convention 2014. As has been our goal over the decades, we will welcome all to enjoy the historic culture of bonsai and sharing of information with enthusiasts from near and far. For this Convention we have organized numerous events and opportunities to share our love of bonsai and important cultural significances' of our area. Together we will enjoy bonsai exhibitions and bonsai related events throughout the area. The main exhibition will be held at Hiun-Kaku Hall in Tamamo Park, this is a wonderful historical site in Takamatsu holding a deep cultural importance to our Citizens. Ritsurin Garden will also play host to our event. 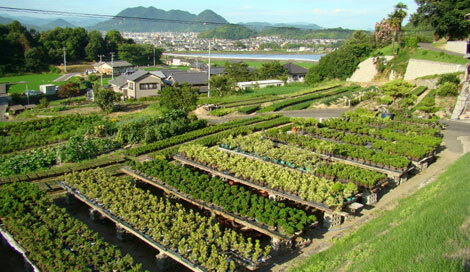 As well, there will be bonsai demonstrations and interesting learning opportunities during the event. Our many dedicated local bonsai professionals will also be welcoming our guests to the planned events in Kinashi and Kokubunji. As we continue our preparations for this wonderful event, we are focusing our planning on the traditional and local specialties of our area on the beautiful Seto Inland Sea. As our guests, I can assure you that you will be delighted with all our area has to offer. Our feeling is strong to keep and nourish the many lasting friendships and relationships we have been lucky enough to be part of over the years and during ASPAC 2011. We are once again ready and excited to welcome you to our home, Takamatsu. Takamatsu boasts having a history of bonsai dating back more than 200years and is currently japan's largest producer of pine bonsai. Takamatsu's bonsai are exported to various countries in Europe, U.S.A. and Asia, which spread the beauty of bonsai around the world.